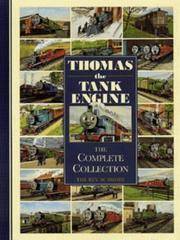 Thomas the Tank Engine - the complete collection. London. May Fair Books. 1970 . Soft cover. 1st Ed. Slightly rubbed & chipped covers. 7" x 4.3". 190 pp. Wt: 0.25 Kg. Good+. William the Conqueror - An Adventure from History. Lob Lie-by-the-fire or The Luck of Lingborough. The story of a short life. Sweetheart Travellers - A child's book for children, for women and for men. London. Wells, Gardner. 1895. . Hardback. Rubbed green covers with black illus. to front cover. Much wear to spine-ends & edges. Shaky binding. Top edge gilt. other page edges untrimmed. Owner name to Ffep. 8.4" x 6.3". xvi pp. + 310 pp. + 26 pp. publisher's list. Illus: Frontis. & B/W drawings throughout. Wt: 1.0 Kg. Reading copy only. Biggles in The Cruise of the Condor.